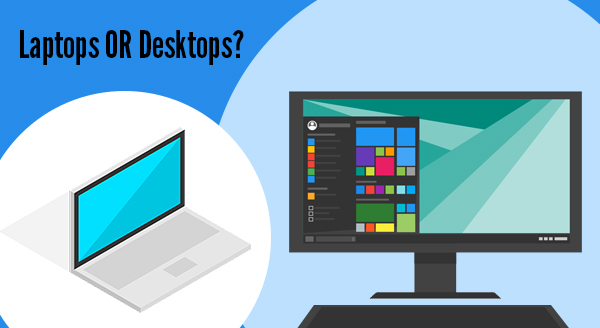 Desktop Vs Laptop: Which One Is Right For You? Laptops have become the favourite choice for most people in the market for a new computer. They’re sleek, portable and heavily advertised. But are they the best choice for your needs? Before you buy your next computer, take a look at these considerations – you may discover you’ve been dreaming of a desktop all along! Hands down, laptops are far more portable than a desktop. You can pick them up, pop them into bag and away you go. That doesn’t mean desktops are bolted to the floor, just that they’re not designed to take on holidays or go with you to the local cafe. With that portability though, comes a trade-off: thin and light means your computer performance takes a hit. 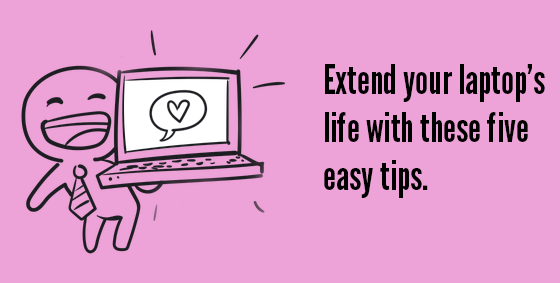 The more powerful your laptop, the bigger and heavier it is, and you won’t enjoy lugging that weight around all day. If that’s got you leaning towards an ultra-portable, consider this: The smaller and lighter your laptop is, the weaker it is. In fact, some laptops struggle to run the most basic apps. Fortunately, when you do choose a desktop, cloud technology means your data is mobile, even if your main computer isn’t. The bottom line here is that a desktop will always give you more power for less money. Their larger cases allow for bigger and better components, with more effective systems to avoid overheating. Even the most powerful laptop is going to be hotter than its desktop equivalent, and much noisier too. If you’re using power-hungry software like video editing, we recommend choosing a desktop. 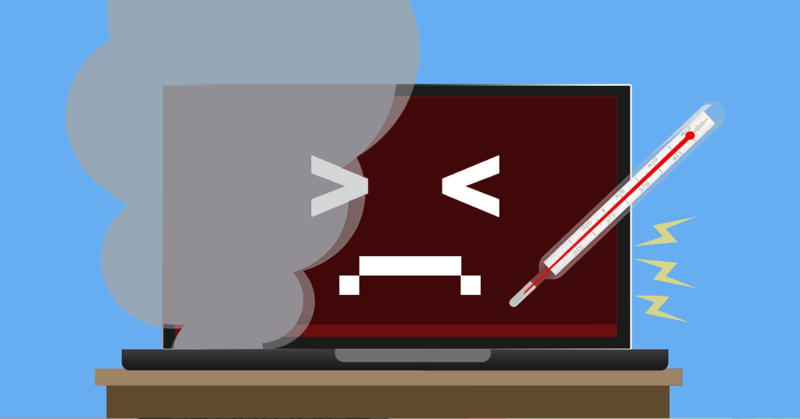 The heat control alone is worth it as frequently overheated laptops don’t last long. Many people buy a laptop only to get it back to the office and literally find it is a pain in the neck! The traditional laptop design means you’re always looking down at the screen which can put a strain on your neck. You can try to raise the screen by placing the laptop on a stand, but then the keyboard is out of easy reach. The smaller keyboards and touchpad designs may also leave you more prone to repetitive strain injuries. Many people end up connecting their laptops to external monitors, keyboards and mice, simply so they can work in comfort. Desktop computers on the other hand, allow you to create the perfect working environment for your needs and even cater for other office or family members. Monitors are usually height adjustable, keyboards and mice are wireless, and you’re able to place the desktop on the floor out of the way. If you’re on your computer for more than short bursts, your body will appreciate you choosing a desktop. When you buy a laptop computer, it’s like choosing from a set menu. You get this brand, in this design, with these specifications. Changing out parts for repair or upgrade can be difficult and expensive as there’s not a spare inch of space. Some parts are extremely hard to get to, which can turn a simple swap or repair into a dealbreaker. 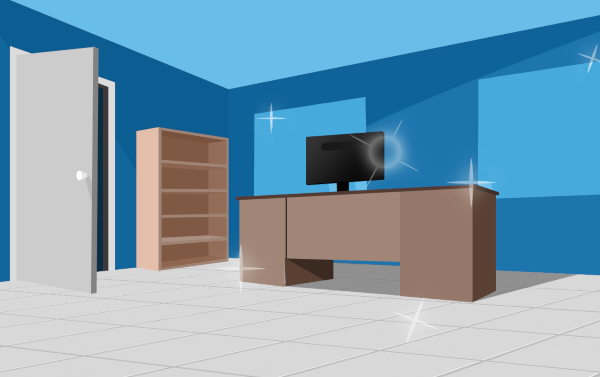 The extra space inside a desktop gives infinite flexibility for upgrades over time and fast repairs. This means you’re able to easily pop in more powerful components for a fraction of the price and extend the life of your computer by years. Come talk to us about your next computer and we’ll find the right one for you. Call us now at 08 8326 4364. 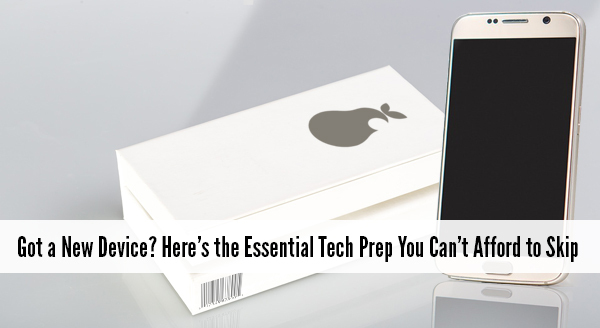 How To Take Care Of Your Laptop Or Phone Battery. Batteries are rarely talked about – until they are nearly empty and then we will beg desperately for a charger, hoping to get enough juice to last through to the end of day. Batteries are a miracle of engineering that get taken for granted when full and cursed when they are flat. 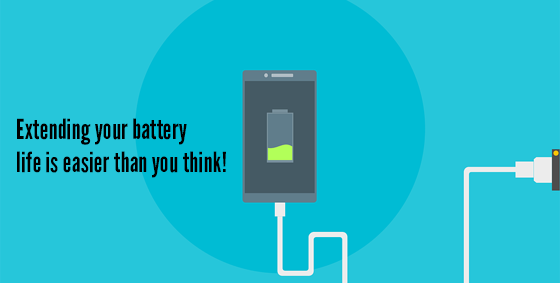 If it feels like your battery is running out faster, you might be right. It’s not because of ‘battery memory’ and needing to be cycled (that’s an older battery type called Nickel–metal hydride or NiMh), it’s because the modern Lithim-ion (Li-Ion) batteries in phones and laptops just simply wear out over time. Keep your battery at room temperature. Heat is the one factor that reduces a batteries life so try and keep the battery between 20 and 25 degrees Celsius (even when not is use). Check your vents are clear with good airflow, and if necessary, help it out with a cooling laptop stand. Charge whenever you can. Lithium-ion batteries don’t like all the time being charged all the way up and drained all the way down. Give them a little charge here and there, and they’ll be happy. Also don’t fully discharge a lithium-ion battery. Think about getting a higher capacity battery. Carrying a spare battery is good but batteries deteriorate over time whether they are used or not so a higher capacity battery may be more beneficial. Remove the battery when the laptop is plugged in all the time. If you use your laptop all day plugged into the power think about removing the battery and only connecting it when you need to use the battery. Charge batteries before extended storing: For extended storage charge the battery to around 40 – 50% before storing in a cool place. Use energy settings on your device. Think about lowering the brightness on your laptops, tablet or phone screen and use “hibernate” or “sleep” modes on laptops in order to use less battery power. Yes your battery will wear out over time but you can help it keep its charge by following the above steps.